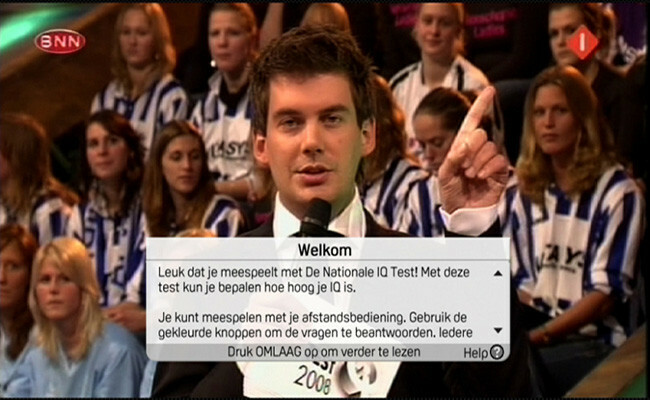 BNN National IQ test was an interactive TV overlay broadcast in The Netherlands. It allowed the viewer to participate with the live broadcast of the TV show and answer the questions with their remote control. 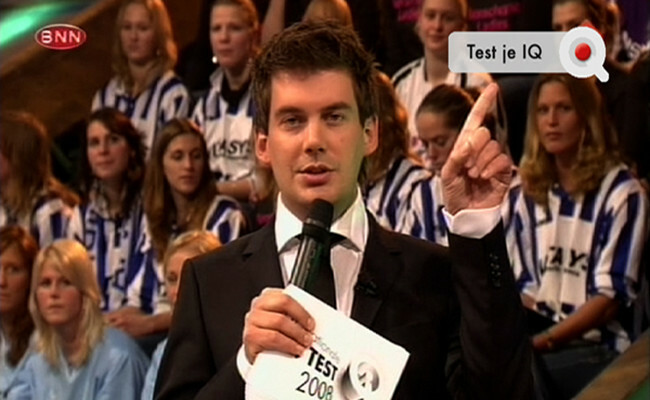 At the end of the test a viewer received on screen feedback of their score and IQ. At Chellomedia I was product lead for the application and worked with the internal development teams, local UPC affiliate and broadcaster to deliver the project. 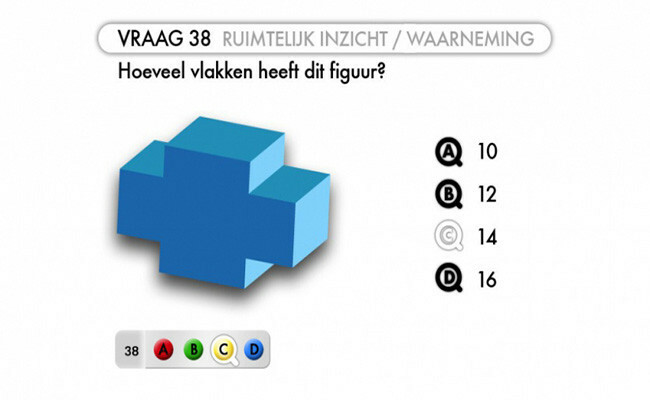 The National IQ test was one of the first forms of participation TV on live TV in The Netherlands. It has been nominated for the SpinAwards.